The weather is getting cold. The winter is coming. Preparing your house for the cold weather may help a lot. It will reduce your utility bills and keep you warm and healthy. Winter may cause a lot of problems to you and your house. It may vary like frozen pipes, blown up water heater, leakage in the roof during rain and so on. It is not just the cold winter season. sometimes winter comes with heavy rain, snow and storm. These heavy rains can even knock off a tree that can fell directly on a house causing a lot of damage. preparing for the cold weather in advance cab be very beneficial. It is very hard to work on the outside of your house when it is very cold so plan ahead. With a little effort we can prepare our house for the cold winter as much as we can. Prepare ahead for the cold weather so you can just sit back, relax and enjoy the cold weather. Check your heating system ahead of time. Check the heaters and air conditioner unit if they are working properly. Change or clean the air filter inside the air conditioner unit. Check fire alarms and smoke detectors. Check fire extinguisher if it is in working order. Warm weather bed sheets to be replaced by Woolen bed sheets and cloths. Do a massive laundry all the summer cloths, curtains and other summer items to be washed and stored. Working on the pipes. If a pipe freeze and creaks it can cause a lot of problem. All the pipes that are in the open must be insulated with thick electrical tape and foam. It also saves the heat inside the pipes so the water doesn’t get cold too often. Disconnect some pipes if it is not needed like the ones that runs through garden to the sprinkles. Insulate your water heater to save heat. Drain all the water from the water heater to clean it. Gutter and sewerage must be clean as they can freeze and clog. All those fallen leaves of autumn season must be removed. Prepare doors and window. Cold air coming from small cracks around doors and windows can increase you bills more than anything. Find out all those small holes. Seal all those small holes from where cold air comes in. it can be sealed with many things like cement, plastic pares or tape. You can also use plastic sheet to cover windows. Roof. Check the roof. There are different types of roofs. Make sure there is no crack. Specially check the sides and the places where the chimneys and pipes are. Clean your fire place. If you have a fireplace in your house clean it and store some wood. Get some anti-freeze liquid for your car. Load shedding and low pressure of Sui gas. Have some backup. Kerosene heater, wood, gas cylinder, batteries for converter as ups and solar panels. All these things can provide very good backup in the time of no power or no Sui gas. Garage and store setup. Clean your car parking. Remove all the things that are needed in summer but not in winter. Remove the tools and spray them with oil to prevent it from rusting. Wardrobe. Bring the warm cloths and sweaters in front. Warm shoes and socks could be very useful. 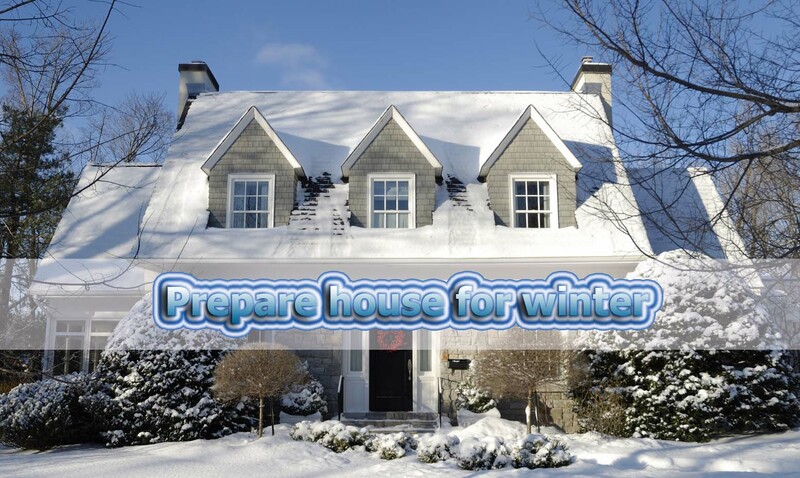 With these tips you can easily prepare your house for the cold winter season.